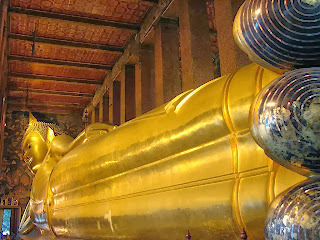 When I saw the blog contest,with no doubt my priority I chose Bangkok.I am married with two children and though I work once a week as a part time faculty,I am always immersed in my household chores.Though as a family we have travelled a lot to some hill stations and religious places,I have never stepped out of India frankly. 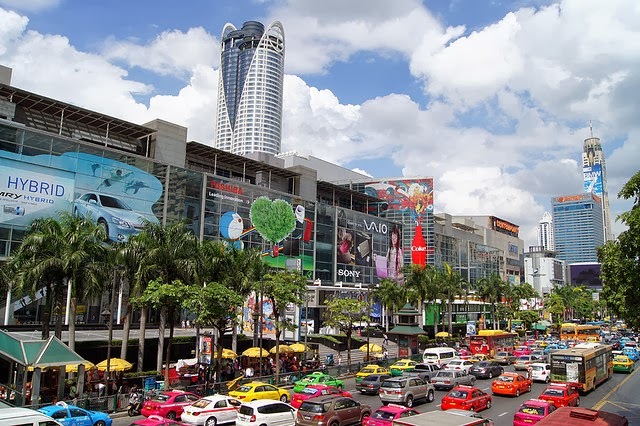 CENTRAL WORLD- Opened in 1990, the eight-story CentralWorld marketed itself as a middle class shopping center, opposed to the upper class-marketed Siam Paragon. On 19th May 2010, CentralWorld was one of the many properties set on fire by anti government protestors. The fire raged for two days and the Zen department store collapsed in the fire. After months of repair works, the shopping complex reopened on 28th September with 80% of its retail space open for business. 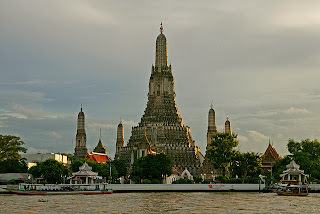 GRAND PALACE AND WAT PRAKEAWToday the palace is a major Bangkok tourist attraction. Part of the palace compound is dedicated to a royal temple, Wat Phra Kaew, the most sacred temple of Thailand and home to the famous Emerald Buddha. A jade statue adorned in gold clothing. I also heard from my husband that the people are very warm and we would feel at home.So the next time I would be writing a blog I would be able to write more in detail as I would have visited it for sure. You can book tickets to" World’s Best Online Travel Fair"through Air Asia.So I would conclude this blog here and I hope you all enjoy reading it.You can refer the link http://bit.ly/AirAsiaTravelFair for more information. Thanks Womens web Air Asia and Ripples for giving me this opportunity to blog.